Over the years there have been a number of studies and research efforts focused on understanding the root cause of unhappiness in the workplace. Improving attrition and engagement is a top priority for many organisations. Today, we want to focus on ‘communication’ a key driver that has a significant impact on each and every employee in a workplace and as a result has a significant impact on attrition and engagement. Breaking this down further, we are going to specifically look at expectations, and the importance of setting expectations and the impact on the team when they aren’t set or clear. Expectations are your ideas, thoughts, requirements and beliefs around how something is supposed to work. Often in the workplace, these can be pre-determined by the business ‘norms’ and pre determined processes guiding how the team is to operate to reach the results. Most commonly, they are linked to behaviours required to achieve an outcome. Expectations (set well) provide clarity and reduce ambiguity for everyone. They provide a guide for employees to follow and work towards. Clear expectations can eliminate stress as it removes the unknown. They are the benchmark or the ‘goal posts’ outlining the what is required from each individual. Having clear expectations creates accountability and ensures that everyone understands what they, and their peers are responsible for. Clear expectations enable leaders to easily call out behaviours that aren’t aligned. Even with the best intentions, managers don’t always get it right when it comes to setting expectations. Managers sometimes make the mistake of assuming that their people know what they expect without explicitly saying (and then are often surprised and disappointed when expectations aren’t met). This creates a disconnect, whereby the employee fails to deliver the non communicated expectations impacting both the manager and the employee. It goes wrong when expectations are communicated but there is no discussion to ensure a common understanding. When expectations are complicated or not clear, the team is not set up to succeed. In addition to this, expectations that are unrealistic and unachievable will set the team up for failure and create significant issues. Expectation setting is a 2-way street. Just as managers set the expectations for their team members, they should take the time to understand what the team expects from them. The impact of ineffective communication when it comes to expectation setting leads managers and team members to be on different paths, heading in different directions and disappointed, frustrated or confused when either party isn’t meeting the standards or outcomes the other party expected. Critically on this, not being on the same page can impact productivity and the results that the team is working to achieve. Having clear expectations throughout the team is also a way of developing trust. It provides an opportunity for the team and manager to both show and demonstrate trusting behaviours. Finally, as we covered at the start, ambiguity in this space can lead to a decrease in engagement and increase in employee attrition. Here are some thoughts to get you started. 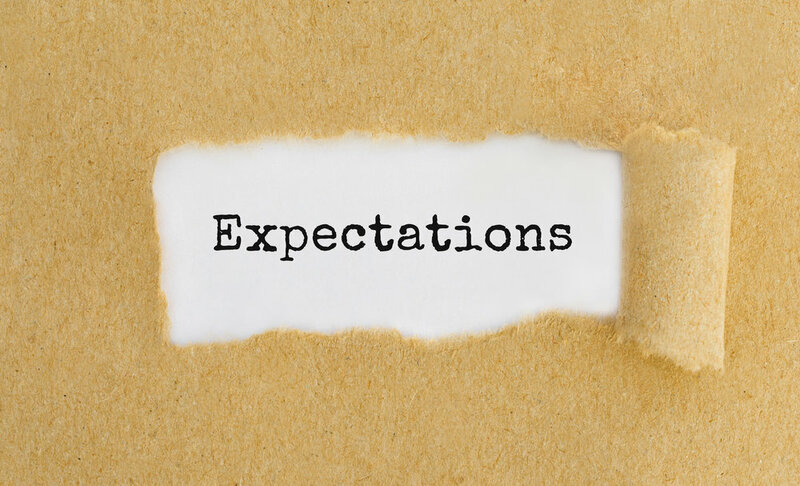 If you have set expectations recently and would like to do it again – that is ok. Be honest with your team and ask them if they are clear on the expectations. Engage them in the process. 1. Get them right - Take time to think through your expectations, write them down and re read to make sure you are comfortable with them. 2. Include company expectations – Be sure to document and include any business wide expectations that are set. 3. Ask someone to critique - Talk through the expectations with someone removed from the team who can objectively ask questions and give you an opportunity to clarify and restate or adjust to remove ambiguity. 4. Involve the team - Pre-position the team that you are going to be going through an expectation setting process. Ask them to think of their expectations of you, and their expectations of each other. 5. Collaborate - Host a meeting to talk through the expectations. This can be in three sections. 1 what they expect of you, 2 what they expect of each other and 3 what you expect of them. 6. Encourage questions - Encourage the team to ask questions. This will help you to confirm that everyone is on the same page and will help you to gain buy-in. 7. Communicate consequences for non-conformance – Be transparent with the team in how you will manage team members if expectations aren’t being met. 8. Write them down - Document the expectations and share with the team. Make sure everyone can access and review the expectations. 9. Revisit and Reset - Review expectations as required. Hold yourself and your team members accountable to the expectations. Periodically, check in with the team to gain feedback and their thoughts on how everyone is tracking to the expectations. Communication is the key to success, successfully setting expectations will ultimately save the manager and business time and money.